Anthers, Filaments and Stigma, Oh My! Steven (Chicagoland, United States) on 5 August 2015 in Plant & Nature and Portfolio. 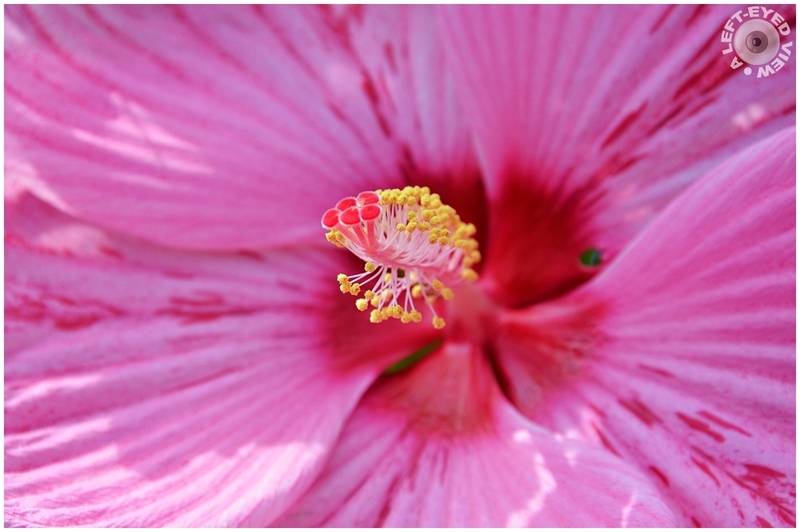 Close-up of a candy cane hibiscus showcasing its anthers, filaments and stigma. Grandisoe macro ce coeur de fleur ce rose sueprbe. Complete in all its detail - marvellous image. Wonderful close up ! Very beautiful. A fine close up with all the detail I like in shots like this. Excellent photo work. I love the name Candy Cane..... that is a gorgeous pink... and a lovely capture of this most delicate beauty!! with beautiful frame, focus & colors! That is a lovely shot. We go deep into the flower. Wonderful close up! The color is just beautiful and the detail is spectacular! I love the 3-D effect of those structures popping out of my monitor. Very beautiful close up nicely framed. Excellent macro.